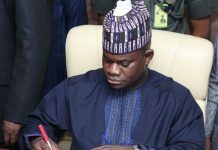 Kogi State Governor, Alhaji Yahaya Bello may be facing yet another trouble in the state, no thanks to the recent vote of no confidence passed on him by the Kogi State APC executive council. The governor has lately been facing series of problems since he assumed the leadership of the state on January 28th as the fourth civilian governor of Kogi State. One of the first problems encountered by the governor was the alleged impeachment of the Speaker of Kogi State House of Assembly, Hon. Momohjimoh Lawal, said to have been instigated by him. Although the governor inherited the state assembly crisis, expectation was that the governor would have mediated in the issue and make sure peace reign in the state assembly by now. Unfortunately, following palpable failure of leadership on the part of the governor, the assembly members dragged themselves to court and the crises has since become a national issue, prompting the National Assembly to intervene by sealing off the Assembly Complex after efforts to reconcile the warring lawmakers failed. A few weeks ago, the state’s chapter of the All Progressive Congress (APC) passed a vote of no confidence in Governor Bello, alleging that he was sidelining the state executive of the APC and other organs of the party in the affairs of the state. In a letter dated April 12, 2016, and addressed to the National Chairman of the APC, Chief John Odigie-Oyegun and signed by all the 34 members of the state executive council, the Kogi APC accused Bello of sidelining members of the governing party and hobnobbing with members of the opposition Peoples Democratic Party (PDP). They accused him of failing to appoint not a single card-carrying member of the APC, saying “all the 45 appointments made so far by His Excellency, Governor Yahaya Bello are given to the PDP”. Part of their requests to the national leadership of the party was that Mr. Bello should not be allowed to have a hand in producing the next ministerial nominee from the state to replace the late James Ocholi, who died recently in a road accident. The party chieftains advised the national secretariat and the presidency to work with the state party leaders in appointing a replacement. The Exco members also accused Bello of working with the opposition PDP in the recent re-run elections in the state. 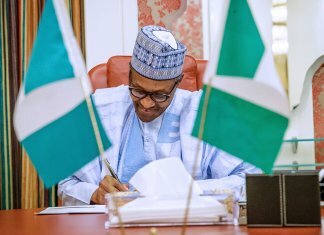 “An APC governor, who supported the PDP in the last re-run election, making us to lose two senators, one House of Representatives and two House of Assembly members; an APC governor, who has not deemed it fit to appoint a single APC member in his cabinet and board; an APC governor, who openly relates with PDP Local Government Chairmen and leaders and abandons his party men is not our best dream project,” they said. However, the in-house crisis took a more serious twist when stakeholders in the party demanded the governor’s resignation. According to them, since the platform on which Bello rode to become the governor had passed a vote of no confidence in him, the most honourable thing for him was to resign along with his deputy, Simon Achuba. The spokesperson for the stakeholders, Mr. Ben Adaji, accused the governor of rendering the party hierarchy useless in the scheme of things in the state, saying with the vote of no confidence coming from the party, Bello could not lead the state. “What we are saying is that if the platform he claims he represents, the platform he claims brought him to power will go to the public glare to disown him and pass a vote of no confidence in him, he has no justification for remaining on that seat as governor. He should resign; Alhaji Yahaya Bello should resign honourably and allow the party in Kogi state to function as it is in other states of the federation. Adaji added that the governor has in the last three months been collecting the allocation due to the state without anything on the ground to show for it and described his tenure so far as a disaster to the people of the state. He pointed out that the circumstances that brought the governor to office were “surely unusual. Therefore, unusual reactions are expected”. Mr. Fanwo said whatever might be going on within the state executive council “is surely a contagious effect from the politics of interest within the party leaders in the state. We expect the state executive committee of the party to keep working with the leadership revolution that is reshaping the state to ensure rapid development,” he said. Faleke is presently at the state governorship election tribunal challenging the emergence of Bello as governor. Bello emerged governor after inheriting the bulk of the votes scored by the late Audu and Faleke in the election held last year. Fanwo, however said Bello was committed to working effectively with the leadership of the party and that the governor appreciates the role of the leaders of the party in ensuring the resounding victory of the APC in the state. 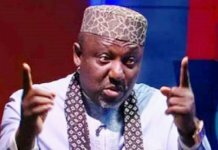 “Now that APC is in firm control of the state, it is foolhardy to think party leaders won’t bury their differences to deliver solid dividends to the Kogi people. It is absolutely untrue, ignominious and unintelligent to insinuate that members of the State Executive Committee of APC are working at variance with the landmark progress of the APC government in the state. “The SEC of APC is aligning with the vox populi that has continued to hail the fairness, boldness and dynamism of the present administration in Kogi State. With the train of the New Direction already taking Kogi to new destinations of hope, the party must be very proud of the laudable programmes and policies of the Yahaya Bello administration in the state. “We also urge those stoking the flame of discord from outside the state to believe in the judiciary and stop their war which has continued to fail. Kogi has a new government and hope is here. The people and the party have confidence in their governor to continue to stir the state to the confluence of opportunities and possibilities. “However, the governor will remain the firm leader of the party, who is prepared to build a united, virile and disciplined APC that has the capacity not only to win elections, but to deliver democracy dividends. 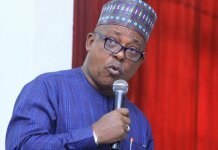 The governor will sustain his commitment towards building a great state without prejudice to ethnicity, religion or political appeals,” he said. On the calls for the governor to resign from office, the Chief Press Secretary said, “There is no point for the governor to resign because the allegations that brought about the alleged vote of no confidence was baseless as there was also nothing like appointment of 45 people as being claimed by the SEC members. 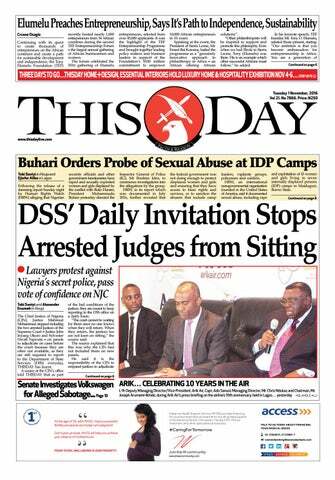 “The people that instigated the members of SEC are the same people playing the next track which is to frustrate the governor and distract him from delivering his laudable programmes and projects to the people of the state,” he noted. However, from all indications, all eyes are now on the governor, the party and assembly members on how the present political crises will be resolved and if not to see where next the battle is shifted.